Huawei Technologies Co., the Chinese telecom giant facing multiple criminal indictments in the US, is expanding on a Russian company’s failed legal argument to bolster its claim that American authorities have gone too far in trying to protect national security. In a federal lawsuit filed this week in Texas, Huawei claims a US ban on government purchases of its equipment violates the Constitution and could kill the company. 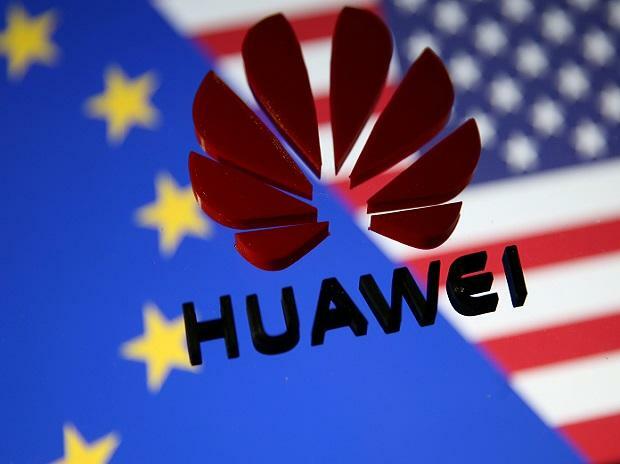 The restrictions were imposed in 2018 because American authorities determined there was a risk Huawei products could be used by China for illegal surveillance. While the courts last year shot down a similar protest by Russian software maker Kaspersky Lab, Huawei contends its case is different because the ban was expanded to include anyone doing business with the government. Legal experts say the lawsuit is a long shot, but the company’s argument is part of its aggressive campaign to combat US allegations of bank fraud, technology theft and spying. “The interesting question will be whether security concerns allow the government to exert contracting and funding influence outside of its own systems without a judicial determination,” said Michael Risch, a professor at Villanova University School of Law in Pennsylvania. Huawei’s legal argument isn’t without challenges. In the Kaspersky case, the company sold software to the US government until 2017, when American officials expressed concern the products could be used by Moscow to spy on federal information systems. The Department of Homeland Security directed federal agencies to remove its products from government systems and Congress then codified the ban against the Russian company under the National Defense Authorization Act, or NDAA, which President Donald Trump eventually signed. Kaspersky filed two lawsuits: One sought a declaration that DHS harmed the company’s reputation and sales without due process; The second claimed the NDAA violated the Constitution’s “Bill of Attainder Clause," which forbids Congress from enacting laws that inflict punishment on individuals and corporations without a trial. A federal judge in Washington dismissed the suits saying the bans were within the scope of government authority. A federal appeals court agreed, concluding Congress had the right to block purchase of a specific vendor’s software if it has legitimate security concerns, saying the ban was a “prophylactic, not punitive” measure. “Given the not insignificant probability that Kaspersky’s products could have compromised federal systems and the magnitude of the harm such an intrusion could have wrought, Congress’s decision to remove Kaspersky from federal networks represents a reasonable and balanced response,” the appeals court said. Huawei’s Texas lawsuit offers a new twist, arguing the US extended the ban to include not just its own purchases, but to government contractors and those who receive federal money. Without due process, the Chinese company said the prohibition amounts to a “death penalty” for its business. The extended reach of the ban “might affect the legal analysis of whether this is an overly broad measure to address a perceived security risk,” said Robert D Williams, a Senior Research Scholar and Lecturer in Law and the Executive Director of the Paul Tsai China Center at Yale Law School. American officials have long been concerned about the risk of using Huawei equipment. A 2012 report by the House Intelligence Committee urged US businesses to avoid the Chinese company’s products and called for blocking all mergers and acquisitions involving them. In January, after unveiling indictments against Huawei and its chief financial officer, FBI Director Christopher Wray outlined the potential risk of growing too dependent upon foreign technology. Huawei’s billionaire founder Ren Zhengfei has dismissed US accusations that the company helps Beijing spy on Western governments. But unlike in the US, where companies can refuse government requests to aid in spying and can publicly contest them in court, no one would ever know if Chinese firms are cooperating with their government, said Timothy Heath, a senior international defense research analyst at the Rand Corp.
Huawei can’t promise it will never be used by the Chinese government because that country’s laws and the Communist Party dictate that all domestic companies provide support to intelligence collection, Heath said.